Bobby and Jamie are getting married, but Bobby’s niece Chloe is worried that she won’t be his favorite person anymore. Will Uncle Bobby still think she is special? Sarah Brannen’s warm story is set in an alternative family as Uncle Bobby marries his boyfriend. Uncle Bobby’s Wedding embraces Bobby’s relationship with Jamie, but keeps its focus where it truly belongs: on an uncle and niece’s love for each other. Beautifully told and charmingly illustrated, this simple yet moving story begs to be read time and again. But back to this month…. COMING UP IN APRIL ON BANNED BOOKS: We All Fall Down by Robert Cormier. Captured by a giant! The BFG is no ordinary bone-crunching giant. He is far too nice and jumbly. It’s lucky for Sophie that he is. Had she been carried off in the middle of the night by the Bloodbottler, the Fleshlumpeater, the Bonecruncher, or any of the other giants-rather than the BFG-she would have soon become breakfast. When Sophie hears that they are flush-bunking off in England to swollomp a few nice little chiddlers, she decides she must stop them once and for all. And the BFG is going to help her! Aren’t your favourite childhood authors the best? Like Judy Blume, Roald Dahl was another leading light for me during my middle grade years and I have such wonderful memories of reading his books over and over again. In fact, I think I read my copy of The BFG so many times that the pages literally starting coming out of the book and I was forced to replace it with a bright, shiny new one. 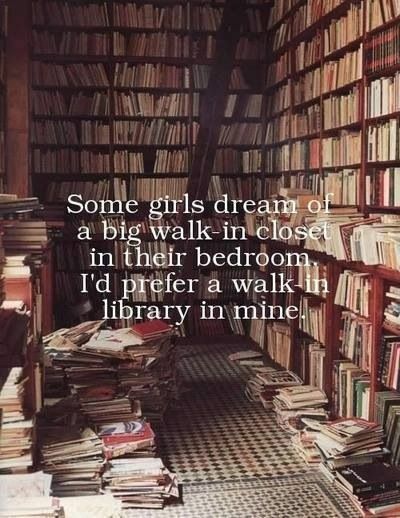 Never a problem for a bookworm, right? Reading Roald Dahl also fills me with warm fuzzy feelings for my sister, Chrissi Reads as when we were younger, I used to read stories like this, Matilda and Charlie and The Chocolate Factory as her bedtime stories before she dropped off to sleep. Who better to re-read The BFG as an adult with than Chrissi on our Kid-Lit challenge? Would the story stand the test of time? It was time to find out. Roald Dahl, author of The BFG. I entered the world of The BFG and his little friend, Sophie with a bubble of anticipation and joy in my heart combined with a smug, tiny feeling that was impossible to shake. There was no way Roald Dahl would let me down as an adult! I was hugely confident of that fact. However, I wasn’t prepared for how charmed and delighted I would feel re-visiting the world that Dahl has created. The author has a peculiar, unique sort of talent for writing stories that appeal to both children and adults alike and his free, easy way with words, classic humour and unforgettable characters makes for such a rewarding reading experience that it’s always a pleasure to sit down with one of his works, no matter what age it’s geared towards. The BFG and Sophie, illustrated by Quentin Blake: an image lovingly entwined in my memory as the cover image from my first copy of the novel as a youngster. Of course, I don’t think I can talk about the magic of Roald Dahl’s writing without mentioning the gorgeousness of the illustrations that accompany these great words by the fantastic, inimitable Quentin Blake. I adore the vivid, beautifully imaginative drawings that bring each character’s personality to life so vibrantly, it becomes impossible to think of a character such as The BFG without also thinking of those glorious, big-eared images too. Finally, who couldn’t fail to become enamoured by Dahl’s characters themselves – a humble, whizzpopping, big friendly giant who gets his words mixed up to hilarious effect but has a heart of pure gold and is devastated by the thought of hundreds of innocent “human beans,” being gobbled up every night! He and Sophie make the perfect team to rid the world of the blood-thirsty evil giants and I could read about their adventures for days on end. COMING UP IN MARCH ON BETH AND CHRISSI DO KID-LIT: The Titan’s Curse (Percy Jackson And The Olympians #3) by Rick Riordan. Hello everyone and welcome to Beth And Chrissi Do Kid-Lit 2018, The Round Up where we’ll be talking about our highlights (and lowlights) of our Kid Lit year. As always, we’ve read some fantastic books and series, some of which we will be continuing into 2019. Please find below all the books we read and the links to my reviews. For Chrissi’s reviews the link will be at the bottom of each original post. 1) What was your favourite Kid-Lit book of 2018 and why? BETH: This is such an easy one for me! It would be Matilda by Roald Dahl. It was a childhood favourite of mine and each time I re-read it I fall more and more in love with it. Sorry other kid-lit authors on this list – it was always going to be a no-brainer with the king that is Roald Dahl. CHRISSI: It has to be the legendary Matilda. It’s a wonderful story that is one of my all time favourites. I don’t think many will ever beat it. I found out recently that my 6 year old nephew loves Matilda which is amazing! 2) What was your least favourite Kid-Lit book of 2018 and why? BETH: This is so tough but I would have to pick something that might be controversial – The Girl Of Ink and Stars by Kiran Millwood Hargrave. It was so gorgeously written but unfortunately I just didn’t connect with it as much as I was hoping to. CHRISSI: The Voyage of The Dawn Treaderby C.S. Lewis. I wasn’t the biggest fan of it, if I’m honest. I don’t recall reading this one as a child and I wouldn’t be surprised if I started it and gave up! Young Chrissi had no problems DNF-ing books. 3) What was the Kid-Lit book of 2018 that surprised you the most? CHRISSI: I have to agree with Beth. I had such high expectations for The Face On The Milk Carton but I really did find it to be a quite unremarkable read which was a shame. 4) Have you been inspired to read any other books from a Kid-Lit author of 2018? BETH: Most definitely, from Tom Fletcher. I was really excited to read something from him as I had heard such great things about his children’s books. The Creakers was everything I had anticipated and who knows, perhaps there will be something else on our Kid-Lit list for 2019 from him? CHRISSI: Ooh yes. I want to read more from Tom Fletcher and David Walliams for sure. I’m loving that young children (and young at heart adults!) 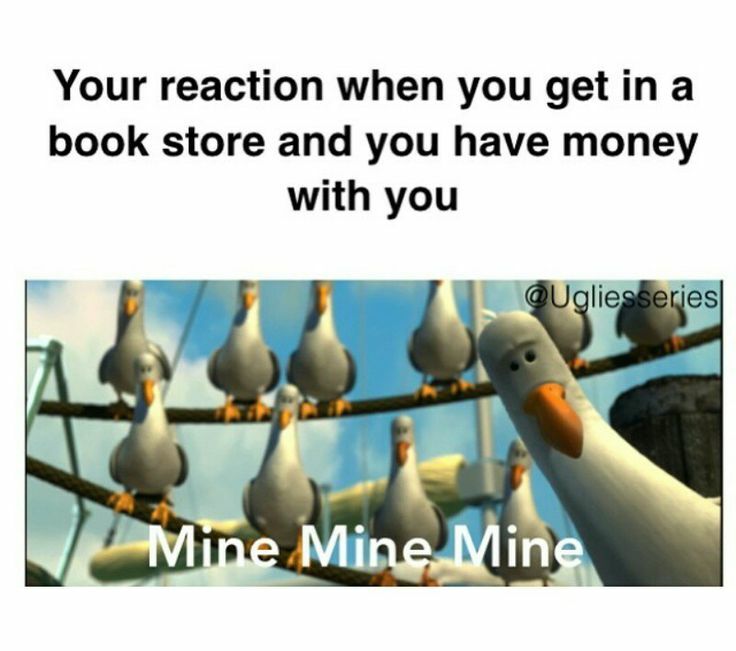 have so many wonderful authors out there to explore. For anyone who reads these posts, thank you so much for your continued support, we love doing this challenge and hope to continue it indefinitely. Coming on January 2nd – the big reveal for Kid-Lit 2019! Which titles made it this year? And which titles are we going to have to do er…. another year?! “My dad died twice. Once when he was thirty nine and again four years later when he was twelve. When Chrissi first chose this book for our kid-lit challenge this year, I have to admit I was intrigued. Who couldn’t be with that title? I hadn’t heard of the book or the author before now and when I read the synopsis and it mentioned our lead character travelling back to the 1980’s I started to get a little bit excited. I grew up in the 1980’s and recently have been on a real nostalgia trip, particularly for the music of that era which I’ve always adored. BBC Four here in the UK have been re-playing classic Top Of The Pops episodes from the eighties in order and I’ve had the most wonderful trip down memory lane enjoying tunes from 1986, when I would have been six years old and just getting into music in a big way. I was gleefully anticipating some eighties references that might take me back to that time through the magic of literature and perhaps that was what was a slight disappointment about this novel for me – my expectations and the fact they weren’t really met in this specific way. Ross Welford, author of Time Travelling With A Hamster. I have to stress though that I am nit-picking. In general, this is a brilliant read for children and what I was personally expecting shouldn’t be taken into account if you’re considering whether to pick this book up or not. Time Travelling With A Hamster is about so much more than just the 1980’s. It’s about the relationship between families and in addition, the different generations within the same family. It packs a definitive emotional wallop to the system as we follow our young protagonist travelling back in time to prevent his father’s death in the future. As a story of time travel, it’s a fascinating and exciting account of how events can be altered dramatically by tiny, seemingly inconsequential decisions that end up having enormous repercussions for more than one individual in the future. One of the stars of the story is a small hamster named Alan Shearer. NOTE: Not the ACTUAL Alan Shearer, obviously! As a fantastical adventure story, Time Travelling With A Hamster does everything you would expect and hope for as a work of children’s literature. There is some interesting character development in both our lead, Albert and his father Pythagoras (or Pye for short) and there is the wonderful addition of Grandpa Byron and his phenomenal feats of memory to give the reader a warm, gooey feeling inside. It certainly made me remember my own grandfather, a remarkable man, with fondness and longing for the times we spent together and the close bond that we were incredibly lucky to have had. The story rattles along at a nice pace and it certainly made for a pleasurable reading experience, particularly with the inclusion of several surprising events that I wasn’t expecting and always appreciate to shock me out of that comfortable, safe and predictable narrative. With the element of time travel, the diversity of the characters and the loveable hamster companion, I can see why many children would really enjoy this story and I would definitely be open to reading more from this author in the future. COMING UP ON 2ND JANUARY 2019: Beth And Chrissi Do Kid-Lit 2019 – The Titles Are Revealed! Once there lived a lovelorn prince whose mother decreed that he must marry by the end of the summer. So began the search to find the prince’s perfect match and lo and behold……his name was Lee. You are cordially invited to join the merriest, most unexpected wedding of the year. KING & KING is a contemporary tale about finding true love and living happily ever after, sure to woo readers of any age. A great gift. Exuberant artwork full of visual play calls for repeated readings. Accelerated Reader quiz available. Inside/Out Book Club selection. Lambda Literary Award. Honorable mention in the “Most Unusual Book of the Year” category for Publishers Weekly’s 2002 “Off the Cuff” Awards, or “Cuffies” selected by booksellers. Coming up on the last Monday of December: we review Flashcards Of My Life by Cherise Mericle Harper. Having had enough of life on board the ship that saved her from a watery grave, Dido Twite wants nothing more than to sail home to England. Instead, Captain Casket’s ship lands in Nantucket, where Dido and the captain’s daughter, Dutiful Penitence, are left in the care of Dutiful’s sinister Aunt Tribulation. In Tribulation’s farmhouse, life is unbearable. When mysterious men lurk about in the evening fog, the resourceful Dido rallies against their shenanigans with help from Dutiful, a cabinboy named Nate, and a pink whale. This novel is the third in The Wolves Chronicles books by Joan Aiken that I’ve been steadily reading with my sister and fellow blogger, Chrissi Reads for our Kid-Lit challenge over the past few years. We absolutely adored the first novel in the series, The Wolves Of Willoughby Chase and quite enjoyed the follow-up, Black Hearts In Battersea so were both intrigued to see how the series was going to continue, particularly with the emergence of beloved character Dido Twite. Sadly, I’m not sure if the books in this series are getting weaker or if it’s just when I read them as an adult, I seem to have lost some of that old childish magic/sparkle that would ordinarily keep me gripped within an adventure story just like this. There are of course some wonderful things that would appeal to a younger audience in this novel and at some points, it really feels like a classic piece of literature, giving me all the old Blyton “feels” that I used to experience every time I cracked open a Secret Seven, Famous Five or Faraway Tree book but unfortunately, I didn’t feel the plot was as strong compared to Aiken’s previous novels in the series. Joan Aiken, author of Nightbirds On Nantucket, the third novel in The Wolves Chronicles. In this third book in the series, we see the triumphant return of fan favourite, Dido Twite who was first introduced to us in Black Hearts In Battersea and for a short time, I felt incredibly irritated by until the story developed further and she became more endearing than annoying! In Nightbirds On Nantucket, after the dramatic (almost cliffhanger events) of the second novel, Dido finds herself on a strange ship bound for an isolated island. She is tasked with taking the Captain’s anxious daughter, Dutiful Penitence under her wing, bringing her out of her shell and encouraging her that living part-time on the island of Nantucket with her Aunt Tribulation wouldn’t be a bad thing. However, when the two girls reach Nantucket, they realise that things aren’t all they seem to be. A plot to overthrow the King Of England, a mysterious pink whale and some very shady characters are just some of the things Dido and Pen must deal with if they are to convince the local community of the dangerous plans afoot. One of my favourite things about this series is the gorgeous illustrations by Robin Jacques. This series has everything going for it, including fantastic characters, classic villains and real, “feel good” endings. I enjoyed the inclusion of the pink whale and the development of Pen as a character in particular. She went from a terrified little girl who was afraid of her own shadow to a determined and loyal young friend that found some admirable inner strength when people she loved were in trouble. I think Nate, the cabin boy that Dido and Pen meet had the potential to be a good character and an interesting side-kick for the girls but wasn’t explored as much as he could have been. Plus, his eternal singing kind of got on my nerves a little bit! Nevertheless, I think Aiken choosing to focus on two female leads was a work of genius, especially considering how much bravery and fight they displayed when times got tough. Joan Aiken has legions of fans across the world for this series and I can definitely see why – it’s packed full of adventure and mystery with the addition of the lovable characters I mentioned earlier. I’m not entirely sure why I didn’t connect with this book as much as I have done with the previous stories in the series, there was just something about the plot that I couldn’t quite get on board with. However, I can one hundred percent understand why it continues to have such appeal and holds a special place in people’s hearts. COMING UP IN NOVEMBER ON BETH AND CHRISSI DO KID-LIT: Number The Stars by Lois Lowry.